The world’s first horror movie begins with a bat flying into a castle then magically turning into a caped demon figure known as Mephistopheles. It ends with Mephistopheles being chased out by someone holding a crucifix. Okay, the Shining or Exorcist, it is not. But this 1896 film entitled Le Manoir du Diable (or “The Haunted Castle”) directed by legendary film visionary Georges Méliès is generally considered the first horror movie ever created. Featuring a boiling cauldron, a tiny minion, phantoms, a skeleton, apparent suicide from one of the terrified characters, and even a witch, it certainly hits a few of the tropes we are accustomed to seeing in today’s scary movies. The film’s (for the time) state-of-the-art special effects also adds thrills. And all of these screams are delivered in a runtime of just under three minutes. Around 1889, the Kinetograph debuted out of Edison’s West Orange lab. Despite Edison’s claims that he was the one who invented what many hail as the first camera to photograph motion pictures, historians generally attribute Edison’s assistant, William Kennedy Laurie Dickson, as the creator of this history-making invention. In 1890, Dickson shot a test movie he entitled Monkeyshines No. 1, featuring the movements of another lab assistant, with the result being like something a ghost hunter would use as “proof” that evil spirits are lurking, rather than like the films that would soon start to come out. Nevertheless, it’s generally given credit for being the first official video camera motion picture in history. It also inspired Edison to build what was perhaps the first movie studio near his West Orange lab. Calling it “Black Maria” because they thought it resembled a police wagon, this is where they shot hundreds of motion pictures featuring vaudeville, magic shows, boxing matches, and Wild Wild West stunts – included among the latter is a video of Annie Oakley showing off her prodigious skills with a rifle. From here, motion picture innovation took off. In April 1894, the Kinetoscope Parlor opened in New York City – essentially the first public movie theater. Then, there was the first movie projected for a wide audience, the first on-screen kiss, and the first theater permanently created entirely for a film. In 1895, the Lumières brothers, who made several groundbreaking advancements of their own in film and video camera design, became the first real film auteurs, making and exhibiting films with short narratives – including the famed 50-second short Arrivee d’un train en gare a La Ciotat. They also debuted the first comedy film featuring a gardener and his water house. 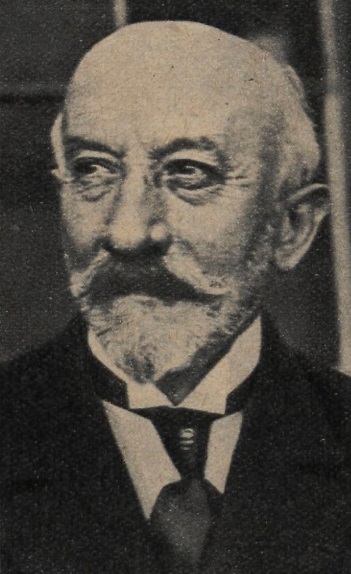 With their revolutionary technology, the Lumières brothers began attracting audiences from far and wide, including shoe-maker-turned-illusionist Georges Méliès, who attended one of their screenings in late 1895. Méliès was born in Paris in 1861 to a shoemaker, who fully expected his sons to follow in his footsteps when he retired. Despite showing an interest in stage performance at an early age, his father refused to support him in this career and, after attending school, Méliès dutifully settled into a career as a shoe maker. Soon, though, his father did retire and handed off the business to his three sons, including Georges. Georges still wanted nothing to do with it and promptly sold his share of the shoe business to his brothers, using the money (along with a sizable dowry from his wife) to purchase an old run-down downtown theater called Robert Houdin Theater. Méliès turned the theater into a popular magic show venue, but he was always looking for an edge and, upon seeing the Lumières brothers’ demonstration of their magical device that showed motion pictures, he attempted to buy it off of them. The Lumières refused. So, Méliès built his own video camera with the help of an engineer. During this minute, the passerby, buses, carriages had moved of course. When I projected the film, joined at the place where the break had occurred, I suddenly saw a Madeleine-Bastille bus changed into a hearse, and men changed into women. The substitution trick, called stop-motion, had been discovered. While it’s thought of today as the first horror movie, Méliès meant the film to be more surprising and attention-grabbing than anything else. The premise is pretty nonsensical, obviously intended to showcase stunning (for the late 19th century) special effects, rather than any particular compelling story. As you can see if you go watch it, throughout the nearly three minutes, images keep popping up, disappearing, and turning into other things. A bat turns into a demon, girls turn into witches, a bench suddenly has a skeleton, and the thin air turns into a trident-wielding goblin. At the end, a crucifix is used to chase the demon character out. Because of this ending and the general garb of the evil protagonist, not to mention his ability to turn into a bat, it’s sometimes described as the first vampire movie. Notably, Bram Stoker’s Dracula would not be released until the next year. Also, of note, one of the women in the film is Jehanne D’Alcy – who would become Méliès’s mistress and, later, his second wife. “The Haunted Castle” is not Georges Méliès’ finest film, however, just a very early effort. His most lauded work is generally considered to be A Trip to the Moon, a masterpiece that is the direct ancestor of every science-fiction ever made. It’s fantastical narrative about going to the moon – including that iconic image of the moon with a rocket stuck in its eye – has inspired filmmakers ever since. In all, Méliès astonishingly made around 500 films in just 14 years, or an average of about 1 every 10 days. Unfortunately, only around 200 of these have survived since. While many were more highly regarded than 1896’s Le Manoir du Diable, none but that can stake the claim as being the first horror movie ever. As for Méliès himself, a series of missteps, an inability to adapt to new film sales models, and WWI would ultimately see the once extremely prosperous filmmaker impoverished and working in a little toy/candy booth in Montparnasse train station in Paris. If this story all sounds familiar, perhaps you’ve seen the film Hugo, which is based on the book The Invention of Hugo Cabret, which in turn is loosely based on the life of Georges Méliès.